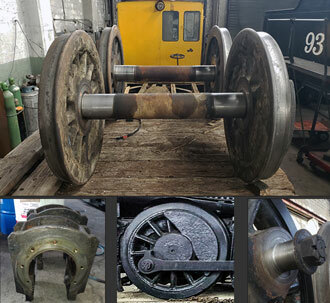 WHAT: Capital campaign to finish the restoration of Locomotive 81. 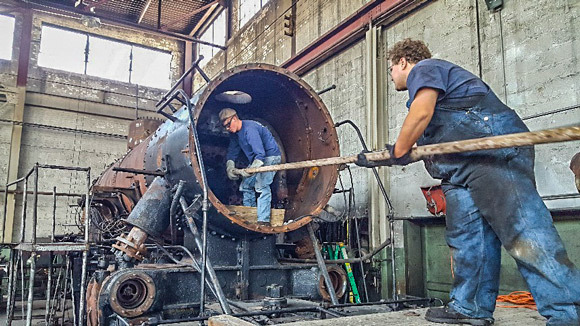 WHY: Locomotive 40 will be shopped soon for a major overhaul, and two steam locomotives are imperative to keep the program operating at sustainable levels. GOAL: Find a sponsor for each of the major components required to complete the overhaul of 81. Sponsor a Part of the Restoration. We all love'em! They're majestic, and they remind us of a time when things were built to last! Built to last, of course, with a little help from their friends every so often. That's where we come in, as old, true friends of Locomotive 81! People visit here to experience standard-gauge, main-line steam engines working like it was 1918. 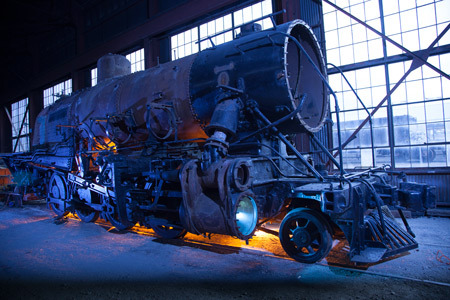 In 2020, Locomotive 40 will go out of service for two years, for her 1472-day boiler overhaul and running gear rebuild. That would leave Locomotive 93 as our sole operating steam locomotive. We learned the hard way, if we don’t have an operating steam locomotive, visitors won’t make the long trek to Ely! In 2008, we experienced a year without steam. The results were devastating, our ridership dropped almost 30% and even worse, our revenue dropped over 40%! We cannot, we must not, let that happen again. Since 2008, like a Phoenix, due to the incredible hard work of our staff, volunteers, donors and members, we rose up from the ashes. Today, our ticket revenue has grown by over 70% from the depths of 2008. We learned our lesson. By 2020 we must have two operating steam locomotives. If we don’t, we are setting ourselves up for a catastrophe! Rebuilding Locomotive 81 is also teaching the next generation mechanical skills that our country needs. Boilers are used in power plants, the principles are the same. Machining and welding allows us to build things here in the USA. It's part of the trend in education to focus on STEAM which stands for Science, Technology, Engineering, Art, and Mathematics. 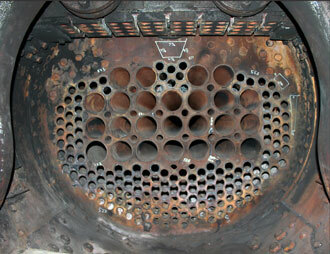 This photo is of Locomotive 81's front flue sheet. It supports the 168 two-inch tubes, or flues and 24 super-heater flues. In 1949 the flues were replaced. The four-inch tubes cost $10.46. The two-inch flues cost $3.42. Sixty-nine years later prices are considerably different. Super-heater flues are $320 and the two-inch flues are $214.28. Installing a two-inch flue costs $190.48. DRIVERS: Axels, and Pins - Total Cost $19,053.24 - 73% Subscribed!!! 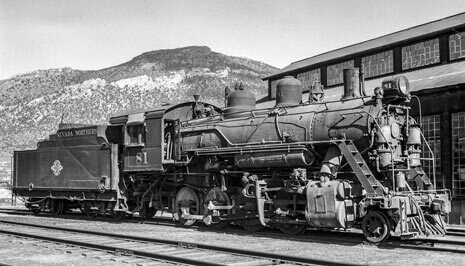 In 1949, Locomotive 81 received eight new steal tires at a cost of $96.71 each. Today, the tires need to be turned, the axles need to be polished where the drive boxes will sit and the drive boxes need to be rehabbed. Additionally, we will be replacing the crank pins on each wheel. To turn an axle and two drivers is $2,297.13 per axel set. 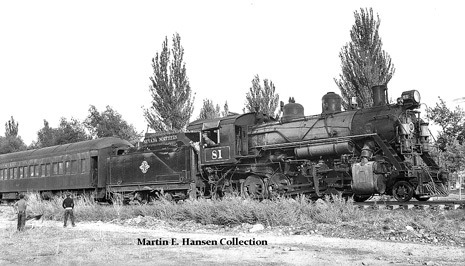 Locomotive 81 has four axle sets. The axles fit into the drive boxes. To rehab a drive box is $983.86 per box. There are 8 boxes. Finally, each driving wheel has a crank pin that connects the wheel to the driving rod. Crank pins cost $249.23 each and there are 8 crank pins. Steam locomotives did not have roller bearings (except a very few right at the end). They used brass journals. The polished part of the axle you see in the previous section rode in the Crown Brass you see here. 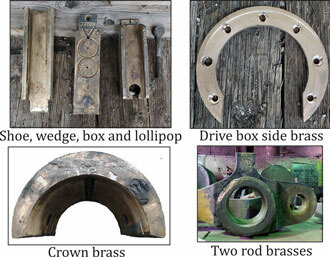 It was polished steal riding in special brass fittings with a monocle-thin layer of oil in between. These heavy brass parts were made to be replaced every so often. "Every so often" has arrived. Locomotive 81 has 8 crown brasses, 10 rod brasses (including the connecting rod on each side), 8 boxes, shoes, and wedges (to allow the crown brass to move up and down as needed by the sprung suspension). In 1949 we spent $ 1,740 on all of this precision-milled brass. The cost for all of this has gone up in those 70 years between then and now. Find out how to own part of the action here.